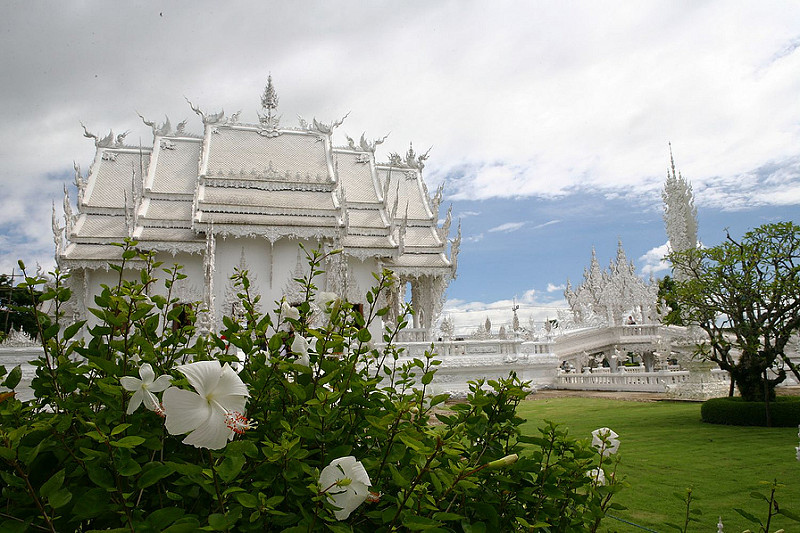 Chiang Rai is the capital of Chiang Rai Province, the mountainous northernmost province of Thailand. This small city of 200,000 north of Chiang Mai has a unique character that makes it a pleasure to visit.Located close to the Myanmar and Laos borders, Chiang Rai is famous for its high quality hikes and mountain treks. The political centre of the Lanna Kingdom during the 13th century, Chiang Rai is home to a range of interesting historical sites. The city’s calm atmosphere and cool temperatures give it a unique feel that’s hard to find elsewhere in Thailand. 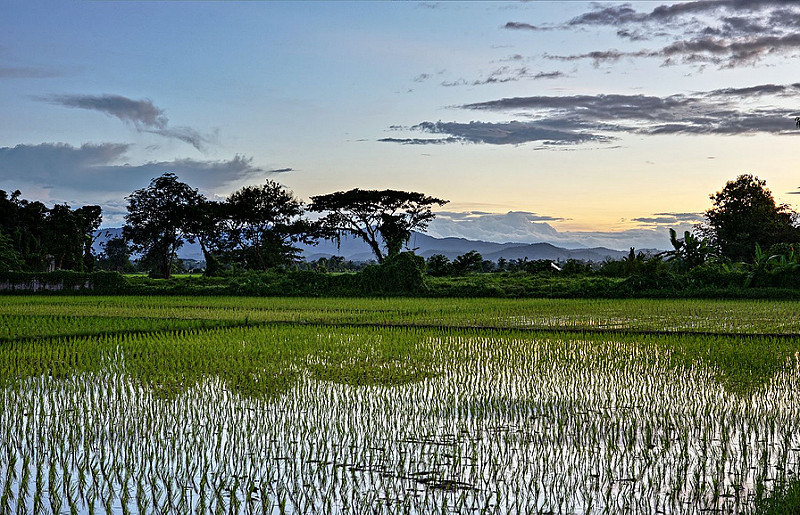 If you like adventure and love the outdoors, you’ll find it hard not to enjoy visiting Chiang Rai. 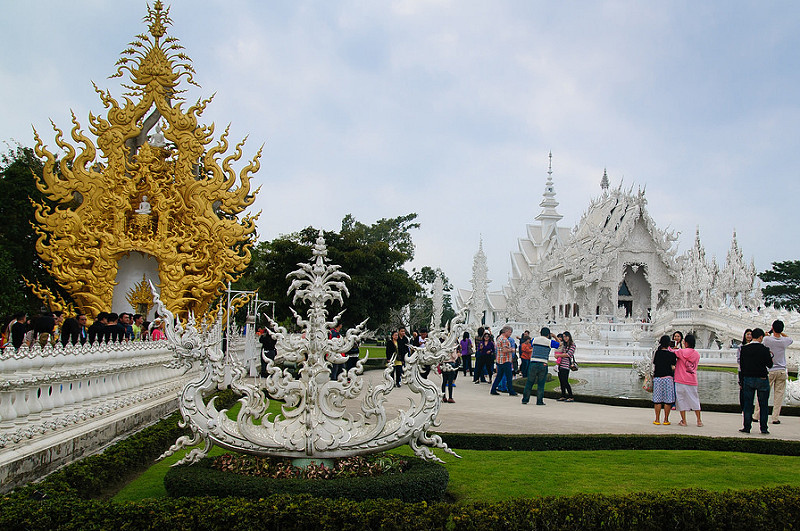 Chiang Rai is a small city, and the City Centre is where you’ll find most of the action. The area around the Clock Tower is home to Chiang Rai Day Market, the Saturday Walking Street and a selection of good restaurants and shops. Located close to Chiang Rai Bus Station, the Night Bazaar is a great place to shop for clothes and souvenirs. The market is a lot smaller than the similar night bazaar in Chiang Mai, but it’s still a good place to shop for Lanna items and everyday essentials. Chiang Rai is one of the latest Thai cities to receive a glistening new shopping mall. Finished in 2011, CentralPlaza Chiang Rai contains a selection of retail stores, a supermarket and the usual shopping mall outlets. Use the search box below to find out departure times and prices on your selected travel dates to Chiang Rai. Built as an art exhibit and open since 1997, Wat Rong Khun (known as the White Temple) is a reconstruction of the original Wat Rong Khun, which was in a state of disrepair by the start of the 21st century. Privately owned, the incredible temple was built at a cost of 40 million baht. The Emerald Buddha inside Bangkok’s Wat Phra Kaew once rested here. The original statue was exposed after a lightning storm destroyed part of the original temple in 1434. Today, the Emerald Buddha (which is on display in Bangkok) has been replaced with a jade replica. Built more than 700 years ago, Wat Ming Muang is one of Chiang Rai’s most impressive Thai Buddhist temples. The temple contains a selection of intricate carvings and statues, including a large Buddha statue. Known as “the Black House”, Baan Si Dum is the home of Thai artist Thawan Duchanee. The incredible building is constructed entirely of wood in a hybrid style combining traditional Lanna architecture and Thawan Duchanee’s unique art style. Chiang Rai Clock Tower is an ornate and beautiful monument that doubles as a useful tool for navigating the city. At 7, 8 and 9 pm every night, the Clock Tower is lit up as part of a nightly light show. Chiang Rai’s mountainous surroundings make it the capital of trekking in Thailand. A variety of treks are accessible from the city, ranging from afternoon treks suitable for beginners to a range of advanced treks and overnight trips. 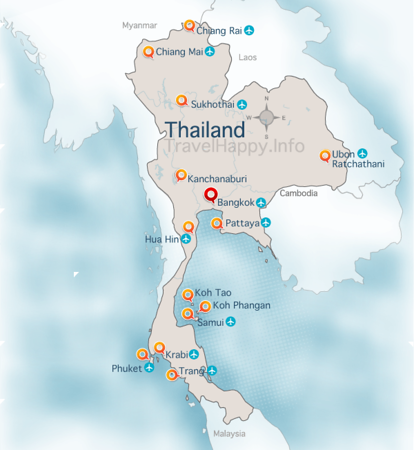 Chiang Rai is the closest city in Thailand to the Golden Triangle — the point at which Laos, Thailand and Myanmar join. Historically one of the world’s top opium producing areas, the Golden Triangle offers some of the finest mountain scenery in Northern Thailand. Located beside the Kok River, Le Meridien Chiang Rai Resort offers a selection of luxurious rooms and suites. The resort’s facilities, which include a day spa, children’s play room and three-tier swimming pool, make it a great choice for families. Located in the centre of Chiang Rai, Dusit Island Resort has a range of comfortable rooms and suites. The hotel’s grounds include a tennis court, large swimming pool and riverside spa make it a great place to relax in Chiang Rai. Le Patta Chiang Rai Hotel is a comfortable four-star hotel located close to the city centre of Chiang Rai. Affordable twin and double rooms are available, both of which include access to the hotel’s swimming pool and fitness centre. Located inside a brand new colonial-style building, Banlomnow Hotel offers spacious rooms in a location that’s close to CentralPlaza Chiang Rai. Although it’s quite far from the centre of Chiang Rai, Banlomnow Hotel’s quiet atmosphere makes it a great place to stay. Located approximately 15 kilometres from central Chiang Rai, Bura Resort is a quiet escape in the peaceful North Thailand countryside. This comfortable three-star resort is surrounded by jungle canopy, rivers and waterfalls. Hohm Hostel offers a selection of simple, clean and comfortable double and twin rooms in the centre of Chiang Rai. Although the rooms are far from luxurious, they’re more than enough for a quick night or two’s stay. Happynest Hostel offers fan and air conditioned dorm beds, as well as a selection of private rooms. Located close to Chiang Rai City Centre, it’s a short walk away from the city’s most popular bars and restaurants. Located right in the centre of Chiang Rai, Baan Norn Plearn offers simple double and twin rooms for travellers in need of a place to sleep. Simple, clean rooms with great pricing and one of the best locations in the city make this a great choice for budget travellers. Located inside Chiang Rai Condotel, The Bistro serves a selection of European dishes with large portions and a great choice of cocktails. Popular with expats in Chiang Rai. Favola at Le Meridien Chiang Rai Resort is an upmarket bistro that specialises in high quality Italian food. Dishes are tasty and well presented, with a decent wine and cocktail list. 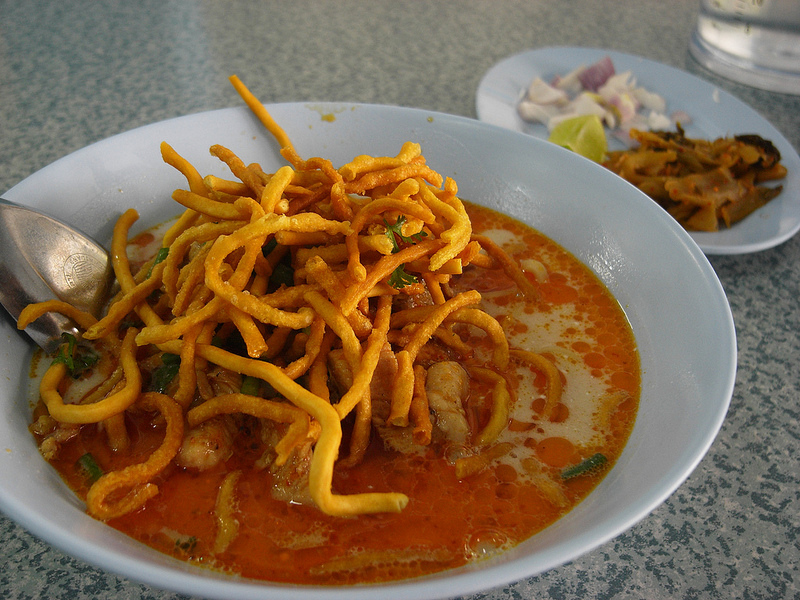 Barrab serves a menu made up of Thai favourites and Northern Thai dishes. Popular with local and expats in Chiang Rai, Barrab is well known for its Northern Thai sausages. Leelawadee Restaurant offers riverside dining and a great menu made up of famous Northern Thai dishes. Reasonable prices and a relaxing setting make this a great place for dining with friends and loved ones. Le Petit Café is a charming local coffee shop located a short distance from Chiang Rai. Great coffee, freshly baked food and a great selection of wines make it a great choice for lunch. Salungkham Cuisine specialises in Northern Thai food, but the diverse menu also includes a great selection of Central and Southern Thai dishes. Located on Phaholyothin Road close to Chiang Rai City Centre. Chiang Rai has a small airport, Mae Fah Luang-Chiang Rai International Airport. Flights are available from Bangkok, Chiang Mai and Kunming, China. Check Skyscanner to compare airlines for the best prices and flight times to Chiang Rai. Taxis from the airport to the City Centre are available at a 200 baht fixed fare. Get real time flight updates here. The easiest and most popular way to reach Chiang Rai is by bus. Buses depart from Chiang Mai several times daily and arrive at Chiang Rai New Bus Station. 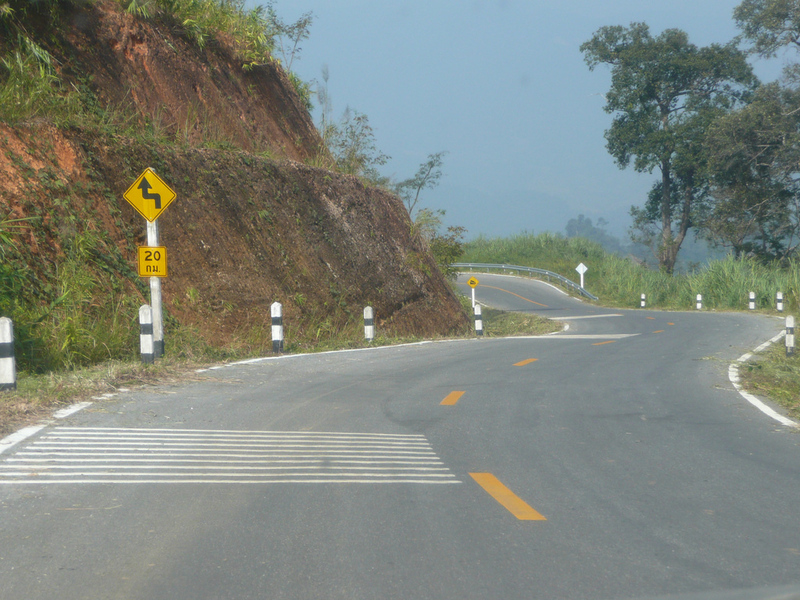 The trip from Chiang Mai takes approximately three hours.